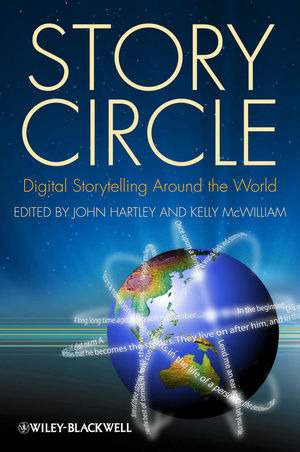 Story Circle is the first collection ever devoted to a comprehensive international study of the digital storytelling movement, exploring subjects of central importance on the emergent and ever-shifting digital landscape. John Hartley is Distinguished Professor and ARC Federation Fellow at Queensland University of Technology, and Research Director of the ARC Centre of Excellence for Creative industries and Innovation. He is the author of Television Truths (Wiley-Blackwell 2008) and A Short History of Cultural Studies (2003), and editor of Creative Industries (Wiley-Blackwell 2005). He is Editor of the International Journal of Cultural Studies. Kelly McWilliam is an ARC Postdoctoral Research Fellow (Industry) in the Creative Industries Faculty of Queensland University of Technology. She is the co-author, with Jane Stadler, of Screen Media: Analysing Film and Television (2009) and the author of When Carrie Met Sally: Lesbian Romantic Comedies (2008). Part I: What is Digital Storytelling?